No matter how much time and money Azerbaijan’s government spends making ‘friends’ in the west, the country is still characterised by a poor record on human rights. Browsing through the archives of western news outlets of the early 1990s, Azerbaijan is not a country mentioned all too often. The limited coverage that does exist, though, mentions Azerbaijan only in the context of the dissolution of the Soviet Union, the war with neighbouring Armenia over the mountainous territory of Nagorno-Karabakh, and most notably, the so-called ‘Contract of the Century’ signed in 1994 under the leadership of Heydar Aliyev, a former KGB strongman and the country’s president at the time. For another decade, most media focused on energy—the lucrative future this small nation could offer not only to itself, but to the numerous foreign companies involved in the country’s energy ventures, as well as the European capitals interested in diversifying their energy portfolios. Outside the energy bubble, Azerbaijan’s name would only emerge in an election year. Every five years, including in 1994, the contested presidential and parliamentary elections would be described as neither free nor fair. Fast-forward to 2015, and Azerbaijan has gone from a small nation on the coast of the Caspian no one knew much about to a country, which prides itself on unprecedented development. Baku is a bustling capital of glass skyscrapers and designer shops—the Dubai of the Caucasus. But while the country’s energy resources still dominate international coverage, over the last three to four years, it is the country’s prominent critics locked up behind bars, and the unprecedented crackdown against free speech and critical voices, which receive most foreign coverage. As one foreign outlet recently put it, these days, Azerbaijan’s reputation is described in terms of ‘authoritarian hysteria, with accompanying “purging” sprees of various kinds’ rather than the promising democracy which the leadership of the country claims. May 2013: Baku amidst celebrations of Heydar Aliyev's birthday. (c) Aziz Karimov / Demotix. But Ilham Aliyev was determined to prove both at home and abroad that he was a strong politician and that he cared for Azerbaijan: even if the start to his political career had been accompanied by contested elections, violence, beatings of peaceful protesters, ballot stuffing and voter intimidation. Shortly after his inauguration, Aliyev called for electoral reforms, using powerful and promising phrases like ‘open candidate registration’, ‘freedom of assembly’, and an end to state power dominance in the voting process. It was easier said than done. Aliyev’s election in 2003 and the parliamentary elections two years later failed to meet any of the promised election reforms. In 2005, foreign press reported on the violent crackdown against some 10,000 protesters, following contested parliamentary election results. 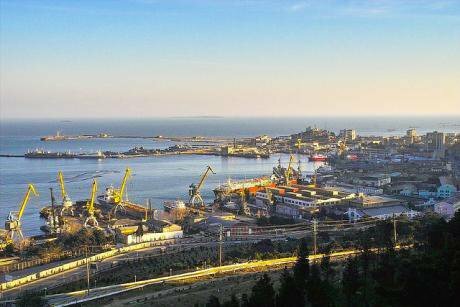 At this time, Azerbaijan began reaping the benefits of the ‘Contract of the Century’, which had opened up the country’s hydrocarbons in the Caspian Sea to foreign investment. Bailovo, Baku. c) David Davidson / Flickr. Some rights reserved. Revenues began pouring in. But instead of equal distribution, focusing on diversification of the economy, improving social services and education, the government of Azerbaijan chose a different path. Instead, this money benefited the few—the rich Aliyev clan and other powerful families around them. Flush with cash, it was time for a rebranding. By now, lobbying on behalf of Azerbaijan, and locating the right people in the decision-making centres of the world, had become a common practice, and a policy Aliyev was keen on actively pursuing. The targets were Brussels and Washington. A flower display in honour of the 2015 Baku Games. (c) Aziz Karimov / Demotix. In Brussels, much of this work was carried out by SOCAR (which, coincidentally, opened its office there also in 2012) and TEAS, the European Azerbaijan Society headed by the son of Kemaleddin Heydarov, one of the country’s most powerful men, and the Minister of Emergency Situations. Tame think-tanks and policy makers were also happy to oblige—they too had their own interest in boosting Azerbaijan’s image abroad while dismissing any criticism of the crackdown at home. The more western friends President Aliyev acquired, the more ruthless he and his cabinet became in matters domestic. The timid son of a KGB general had stopped making promises. Instead, there were bold statements: Azerbaijan was the land of democracy, tolerance, and all freedoms. The presidential elections in 2008 only confirmed Aliyev’s determination to stay in power; and for this, yet another round of mock elections took place. 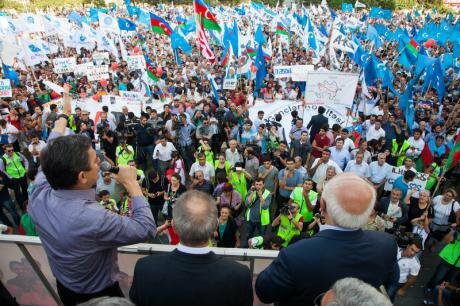 The six other candidates running against Ilham Aliyev were political nobodies. The actual day of voting saw reports of ballot stuffing, carousel voting, and other violations. A year later, in a countrywide referendum, Aliyev put an end to any hopes for a change in the next round of elections by removing term limits to the presidency. Blogger Adnan Hajizada was convicted on hooliganism charges in November 2009. Still from YouTube. 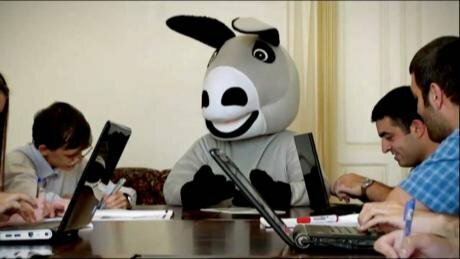 Aside from the referendum, however, Azerbaijan made international headlines with the famous ‘donkey bloggers’ case in 2009, when two youth activists staged a mock interview with an expensive donkey imported from Holland at a price tag of $41,000. The donkey praised Azerbaijan as being a perfect place for donkeys to live. Shortly after, the authors of the video were arrested, tried in court and then sentenced for hooliganism. International media slammed the country’s leadership for jailing these tech-savvy youth activists, and having little tolerance for dissent. Many saw this as the beginning of more to crackdowns come. A year earlier, foreign media such as Radio Free Europe/Radio Liberty, BBC, and the Voice of America had been banned from broadcasting on national frequencies. Local media outlets were already facing libel charges and closure possibilities while independent journalists were constantly persecuted for their criticism of government policies. In 2009, Reporters Without Borders named President Aliyev in their top 40 ‘Predators of Press Freedom’. 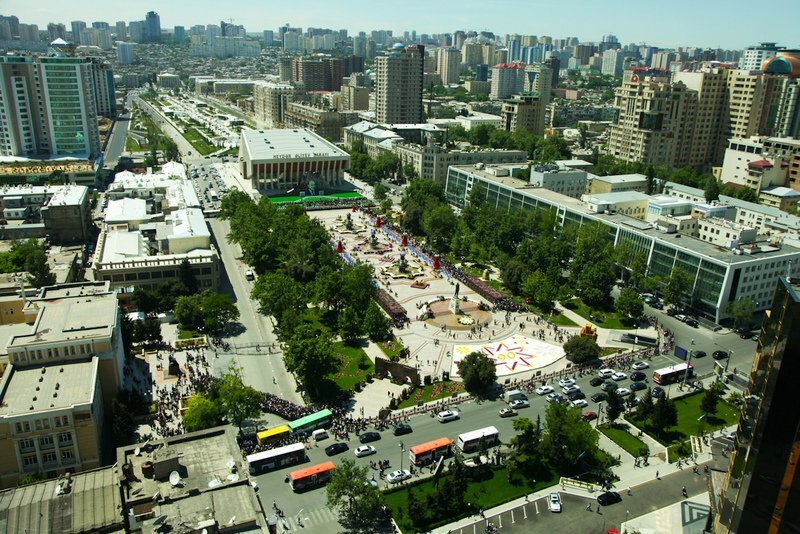 In cultural terms, Azerbaijan last hit the international headlines in 2012 when, having won the Eurovision Song Contest the previous year (with Running Scared by Ell & Nikki), it secured the right to host the festival in Baku. This was the first time an international event of this scope had come to Baku. Activists at home decided to use the contest as a platform to call on the government to respect the rights of its people, and the international community to step up their criticism of the government. But while pro-democracy groups raised eyebrows talking about Azerbaijan’s deteriorating political pluralism during the Eurovision Song Contest, the tone of the language used by official Baku also changed: the country had gained more confidence thanks to the oil money and its ‘friends’ abroad. More of its critics began to land behind bars on bogus charges while Aliyev’s cabinet turned up the volume on criticising the west. A meeting of the National Council of Democratic Forces, September 2013. (c) Aziz Karimov / Demotix. Among those who got the special Aliyev treatment were ex-U.S. Ambassador Richard Morningstar and Swedish Foreign Minister Carl Bildt, both of them were criticised for interfering in domestic issues. Some government officials went so far as to make inappropriate comments about European leaders such as Ulrike Lunacek of the European Greens (they called her a lesbian); others who have been criticised by official Baku, include people like Martin Schulz, the president of the European Parliament. In December 2014, Schulz’s statement on rights activist Leyla Yunus during the Sakharov Prize award ceremony angered Azerbaijan's Foreign Ministry to the extent that it later called Schulz’s statement a form of ‘interference in the judicial process’. By 2015, there was a very different image of Azerbaijan abroad—it was clear there were serious issues with Aliyev’s so-called democracy model. In the meantime, rebranding efforts continued. The most recent attempt, of course, being the hosting of the inaugural European Games, the Olympics of Europe. Not only did Baku open its doors to some 6,000 athletes, and built new venues including a brand new stadium, it also picked up the tab for all the expenses, including the athletes’ airfares. The difference between the European Games and Eurovision was stark: there were no rights defenders, activists, or popular critics who could speak up about the rights and freedoms violations, as had happened during Eurovision. Many of them were threatened, arrested, and jailed. Others fled the country due to safety concerns in the run up to the games. The international coverage of the games was crucial. And it was here that Azerbaijan’s attempt at rebranding itself showed major cracks. While the government of Azerbaijan hoped these games would serve as yet another image boost, abroad, it only highlighted the severity of the crackdown in Azerbaijan. It was because of such negative coverage that, during the European Games, the government of Azerbaijan came up with a new argument. All international outlets that chose to write negatively about Azerbaijan, including official statements by foreign institutions, were part of a campaign by ‘anti-Azerbaijan forces’ to discredit the country. Three years prior, during the Eurovision song contest, official Baku accused ‘certain circles’ in Germany of orchestrating a media campaign of slander and deceit. Azerbaijan’s embassy in Berlin issued a statement where it claimed it was ‘unfortunate’ to see individuals like Christoph Strasser, Markus Lonin and other Bundestag members actively engaging in an anti-Azerbaijan campaign. Ironically enough, Der Spiegel was then labelled as a member of the ‘Armenian lobby’ (Armenia being the arch enemy). 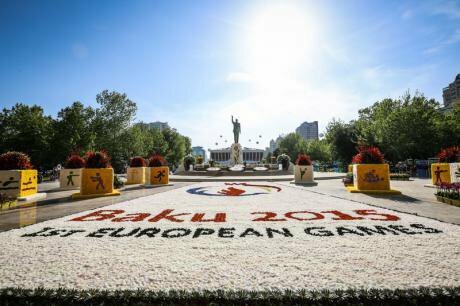 During the European games, the government of Azerbaijan labeled The Guardian another member of this ‘Armenian lobby’, criticising the newspaper for its dubious coverage of the country. But how far can Azerbaijan actually go in its damning of international institutions, European and American leaders, while pretending everyone is a liar, and against the country’s real development? The answer? Quite a long way. Yet, while Azerbaijan’s rebranding mission, which began in the early 1990s, has gained influential friends, it has not been enough to completely shut everyone up. For no matter how many international sporting events it hosts, or dodgy elections it holds, unless the country’s leadership changes course and starts rebranding itself as a country of genuine reforms, embracing equality and freedoms, it will continue only to score negative points abroad.